in a person's physical, emotional & mental states." "Movement is a medicine for creating change in a person's physical, emotional & mental states." ATP Physical Therapy provides high quality, innovative rehabilitation combining sports therapy, Pilates and general orthopedics for all ages. We have been serving the South Pasadena area for over 19 years and continue to strive to keep on the cutting edge of what’s new in the world of Physical Therapy and wellness. Balance and motivation are the elements for success, and at ATP Physical Therapy we can help you achieve your goals by combining our vast knowledge and experience in the fitness industry as well as the medical field with your passion to succeed. 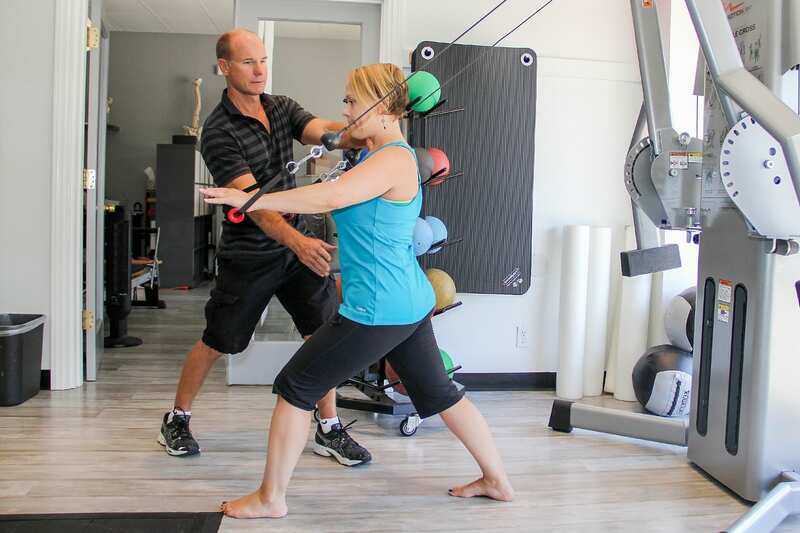 ATP Physical Therapy is owned by Chris Mallett a doctor of Physical therapy from USC and Tracey Mallett a world renown fitness celebrity who have together successfully built a fitness facility serving the local community. They have been residents in South Pasadena for 15 years with two teenage children Amber and Ty. Physical therapy utilizes manual therapy in conjunction with therapeutic exercise to maximize an individual’s functional potential. Your physical therapist at ATP will thoroughly evaluate your movement mechanics to determine contributing factors to your physical ailments. Patients work together in collaboration with their physical therapist to reach their goals. Our physical therapists are licensed with a Master’s or Doctorate of Physical Therapy with additional certifications in Pilates and or personal training. Orthopedic Conditions: Low back pain, cervical strain, rotator cuff strain, ankle sprain and much more. Sports Conditioning: Injuries from athletic activity such as swimming, running, golf, soccer, baseball, basketball, etc. Pre/post Operative Care: Back and cervical surgery, ACL repair, joint replacement surgery, rotator cuff repair, Achilles tendon repair, etc. Neurological Conditions: Balance deficits, high functioning cerebral vascular accident and multiple sclerosis. Speak with your doctor to get a referral to ATP Physical Therapy. Most insurances accepted. Please call 626-403-6545 for verification.